*Standard delivery in 6-7 buisness days. THE HAND OF FATIMA IS POWERFUL AND PROTECTIVE. THIS PENDANT SHAPED LIKE THE HAND OF FATIMA IS VERY GORGEOUS. IT HAS BLUE ENAMEL IN THE CENTER AND IS SURROUNDED BY ZIRCON STONES. 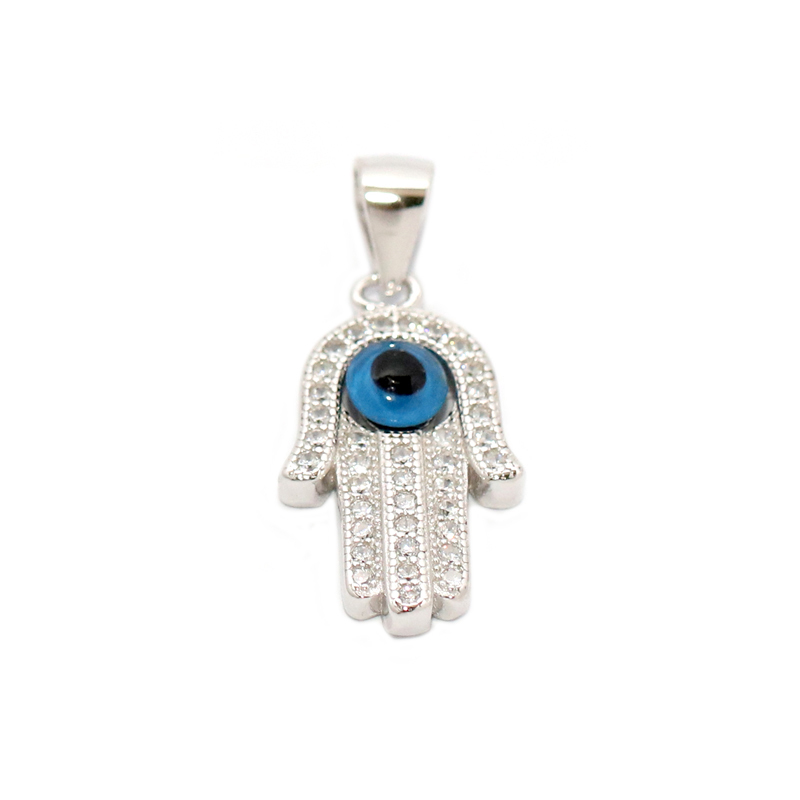 THIS PENDANT CAN WARD OFF THE EVIL EYE (NAZAR) AND OTHER NEGATIVE ENERGIES. IT CAN BE WORN ALONG WITH OTHER SILVER JEWELRY AND WILL GO WELL WITH YOUR OFFICE, EVENING, PARTY, OR FESTIVE LOOK.